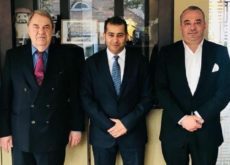 According to *Constructionweekonline news report, Saudi Arabian construction professionals are optimistic about market growth in the next 12 months even as key challenges such as liquidity issues and payment delays plague the wider industry, according to the GCC Construction Survey released by London-headquartered international law firm Pinsent Mansons. Pinsent Masons' survey found that its respondents were more optimistic about signing new orders in 2019 than they were in 2018, with 58% of the respondents claiming to have noted an increase in their backlog during Q1 2019. According to the survey, Saudi Arabia leads the GCC in terms of growth expectations during 2019, with 55% of the survey's respondents hopeful about increased work opportunities in the kingdom over the next year. For 95% of the respondents, the UAE was picked as the easiest GCC market to do business in, followed by Oman (47%). However, market conditions at large continue to concern construction industry professionals. Eighty-one percent of the survey's respondents said liquidity and payment issues were major short-term challenges for their businesses, while 80% said that inadequate training and development has also impacted the sector. 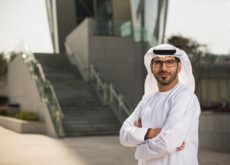 Forty percent of the survey's respondents said they did not expect to participate in public-private partnerships (PPPs) in 2019, whilst 65% said that they hadn't yet used the services of DIFC Courts' specialist technology and construction division. The latter figure was reported even though 60% of the respondents had been involved in arbitration or other forms of dispute resolution over the last 12 months. Commenting on the survey's findings, Pinsent Masons' head of construction disputes in the Middle East, said: "The outlook of the GCC’s construction sector remains continuously optimistic, despite the hit taken by the three-year oil price slump. “Whilst challenges remain in this region, we anticipate an increase in infrastructure projects, particularly in [Saudi Arabia]."